From humble beginnings in Dublin over 20 years ago, Tour America expanded to Cork City in September 2010. 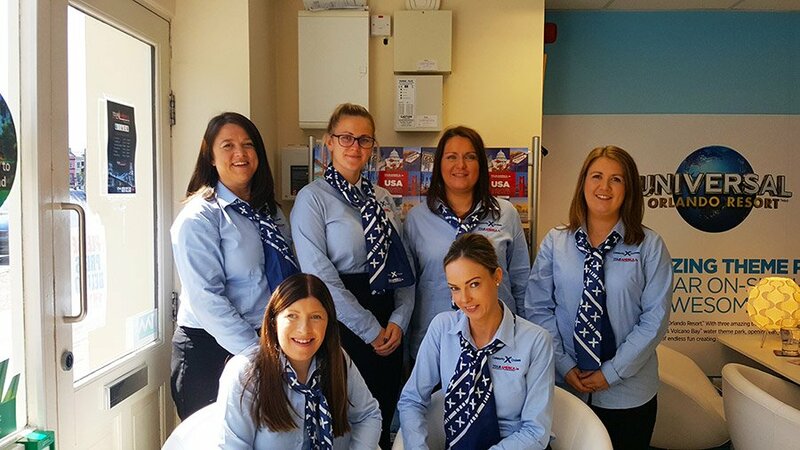 Located at 31 Parnell Place Cork City, Tour America Travel Agents Cork is an Award-Winning Team of local Cork employees, who collectively have over 80 years’ experience in selling holidays to the USA and also in world-wide cruises. Offering a friendly ambiance, our Tour America Cork office is the perfect destination to plan your next adventure, family holiday, special trip such as honeymoons and also worldwide cruises. Enjoy a Nespresso coffee as we help you plan the holiday of your dreams. We pride ourselves on our incredible customer service and our ability to tailor-make every holiday around each individual customer. If you’re planning your next getaway, come visit our team today at our central Cork City location. Alternatively, you can reach our Cork team on 021-2429222 or via the contact form below. We look forward to warmly welcoming you into our Tour America Cork office.